Just north of Silicon Valley, Santa Clara is an absolute gem of culture and fun for families. Close enough to Silicon Valley to be convenient, but still far away for some non-tech related peace, this area is a blend of the best of both worlds. There’s some incredible attractions in Santa Clara, including the Intel museum, Levi’s stadium, and California’s Great America. We’re happy to be able to provide gated apartments in Santa Clara that are manned with doormen and security on alert. This is a fantastic location, just minutes walking distance away from Levi Stadium, and featuring resort style swimming pools and hot tubs. 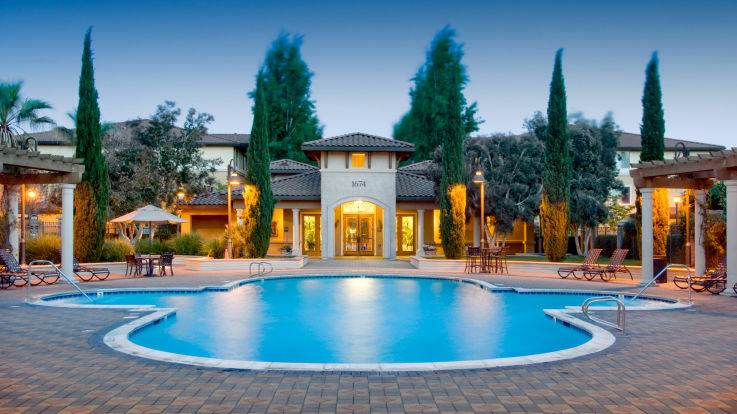 Our mission is to ensure that you’re set up in the perfect new home for you, so feel free to check out our interactive tours of our gated Santa Clara apartments!